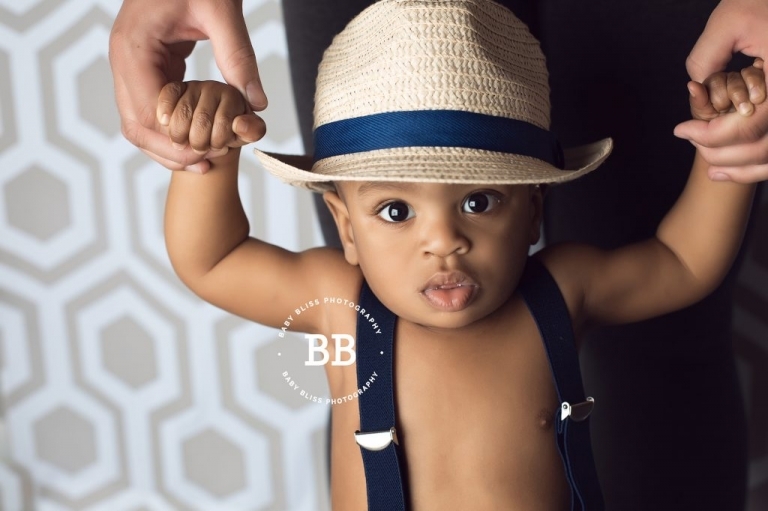 As a Kelowna Photographer who specializes is newborn photography and baby photography; it’s always so much fun getting to know a new little man. Little Apollo’s birthday is coming soon and in honour of his special one year birthday, mom made sure to book a baby portrait session with me. She first contacted me early in the year to secure the perfect date and although our Spring was taking a little bit longer to materialize than we first scheduled, with a little re-scheduling, we found a perfect day. It was so lovely and warm. Such a relief after winters snow! 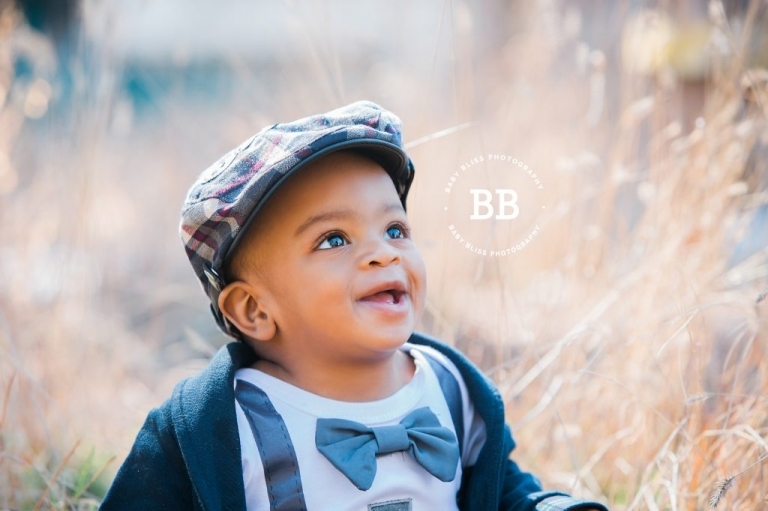 We started outside to get some of those gorgeous, natural light images and finished in my brand new Baby Bliss Photography studio for a cake smash. For the past seven years I’ve had my studio at the beautiful Caetani Centre, but when the opportunity presented itself, I was super excited to be in a new space, with much more room to have fun with my older clients. A one year old needs room to move after all 🙂 He loved exploring all the fun props! 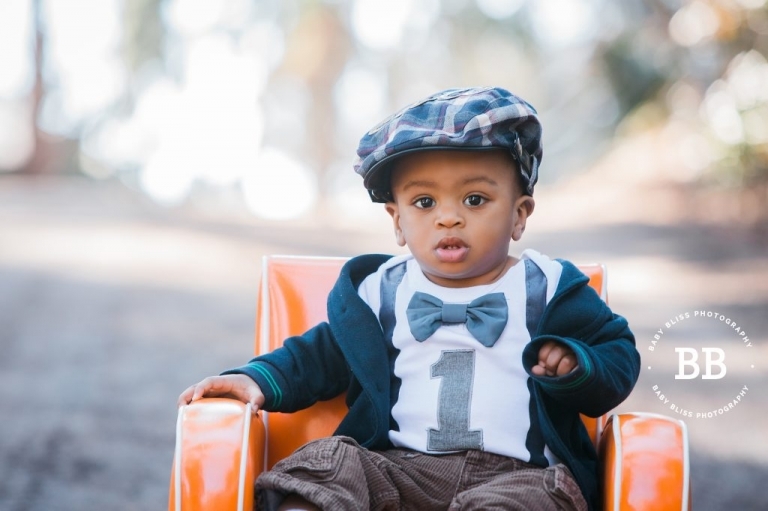 I think Apollo might be one of the cutest boys I’ve ever seen in a hat….I mean seriously….can anyone say Gap Baby?!?!? He was so good about not taking it off either, but totally played it up for the camera when I asked him to take it off. 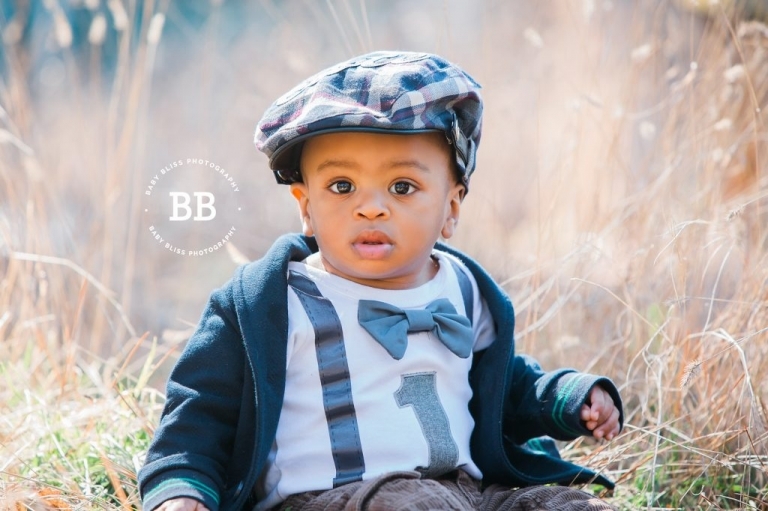 Although a rather serious little man, the few smiles we got were worth all the silly noises mom and I had to make. Apollo, I wish you a Happy First Birthday! From the looks of how you enjoyed your cake smash, I am sure you will love your birthday party one!